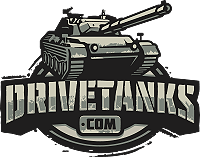 *Drive the “Cobra King” Sherman and shoot one round from the “Easy Eva” Sherman’s 76mm gun along with 50 rounds from it’s M2 .50 BMG machine gun. Additional tank rounds and .50 BMG rounds are available at a reduced cost. 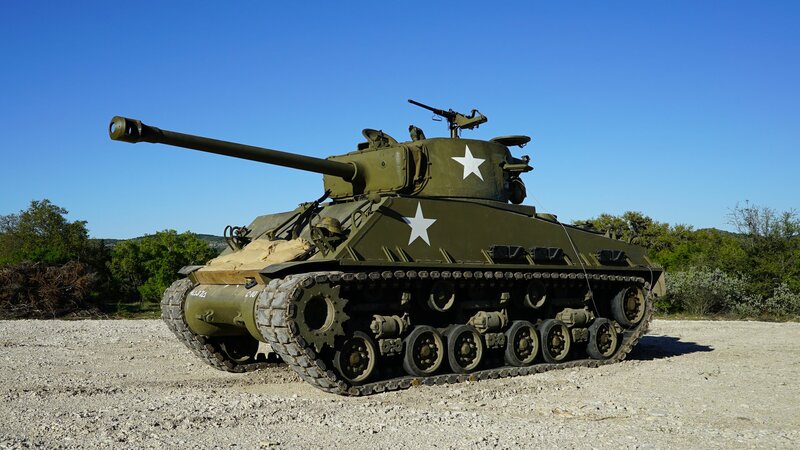 Imagine yourself driving our WWII Sherman Tank through our specially developed tank course that meanders its way around some of the most picturesque scenery that the Texas Hill Country has to offer. You will negotiate the challenging war zone course with anti-tank obstacles, drop offs, and a crystal clear spring fed creek fording, in the middle of an amazing 18,000-acre exotic game ranch called Ox Ranch. 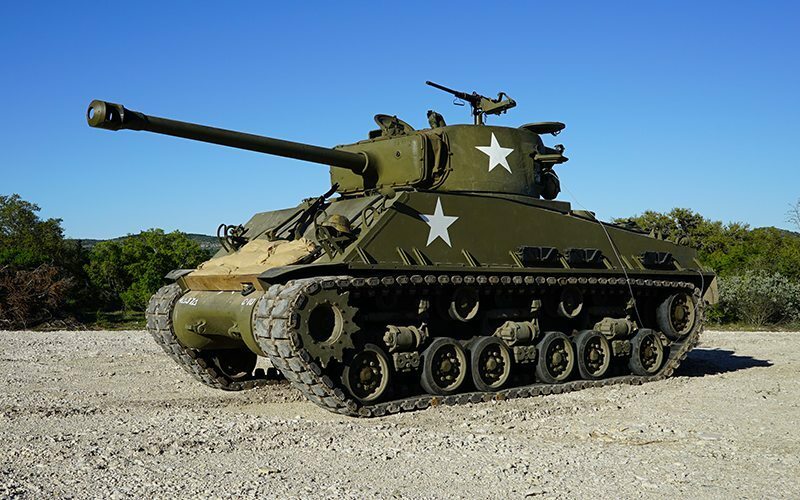 Maneuver your way to our scenic tank range, where you will unleash the concussive power of the Sherman’s 76mm main gun as it hurls its 14-pound projectile down range, just as it would have done on the European battlefields of WWII. If that’s not enough of being a part of a living history adventure, you can then defend your position from the top of the Sherman and experience what the M2 .50 caliber machine gun felt like for War Daddy, as he attempted to hold off an advancing Nazi SS Battalion, in the block buster movie Fury.